Sudoku86 is a Sudoku game designed to run under DOS. It is a 16-bit, real mode application using CGA or VGA video output (320×200). It has been compiled using Turbo C 2.0.1. 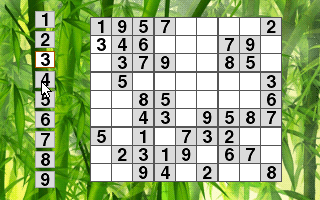 Sudoku86 comes with 100 sudoku grids.